Too many cocktails and too little sleep; lungfuls of pollution-laced air and platefuls of non-organic, MSG loaded meals; late nights in the office and even later nights in Lang Kwai Fong… Life in Hong Kong is more toxic than Britney Spears in that turquoise air hostess outfit. The idea behind a juice cleanse is fairly simple - by ingesting only clean, easy to digest juices for a few days, not only are you eliminating all the junk, but you’re also giving your body a bit of a break. Not having to expend energy on digesting allows the body to focus on expelling toxins and repairing all the damage you do day to day with processed foods, alcohol and all the other bad stuff. But in a city where people who work sixty hour weeks are slackers, and organic produce is more elusive than a sleuth of Giant Pandas, how’s a girl to find the time to source 8kg of organic fruit and vegetables, let alone peel, chop, blend and bottle it…? 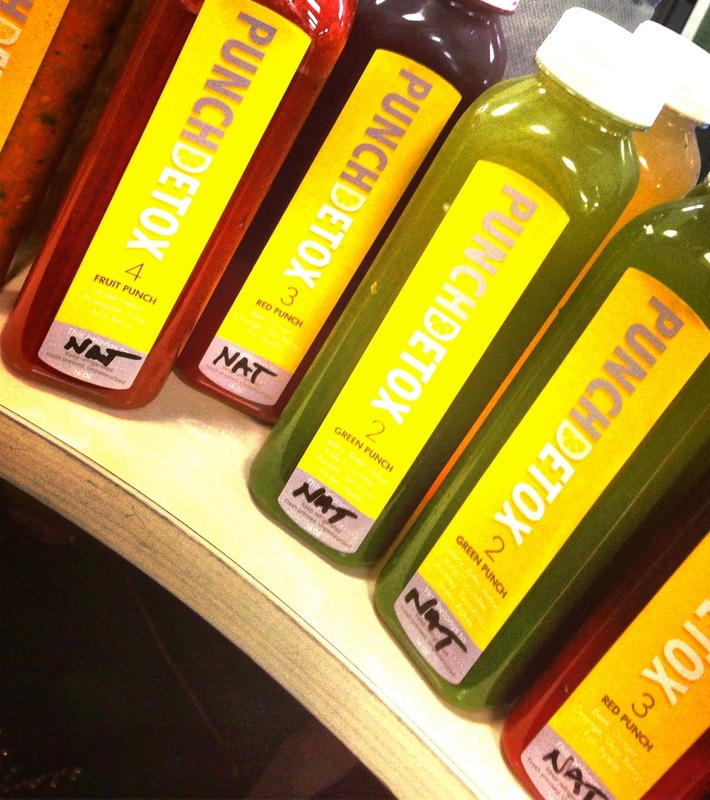 There’s no doubt about it, if you want to juice cleanse in Hong Kong, you need to call in the pros. 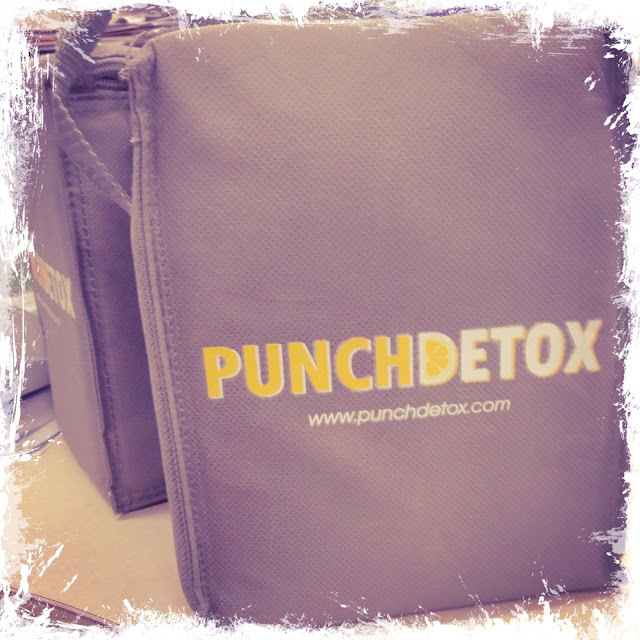 Punch is a Hong Kong company specializing in 3 day organic, vegan juice cleanses. Set up by two Ivy League educated Mums with a passion for nutrition, it’s clear from the second you click onto the website, that this is a company designed by real people for real people. Meticulous thought has been invested into every element of the juicing experience, from the crammed full of info, easy-to-use website, to the daily emails of encouragement and the beautifully designed packaging. 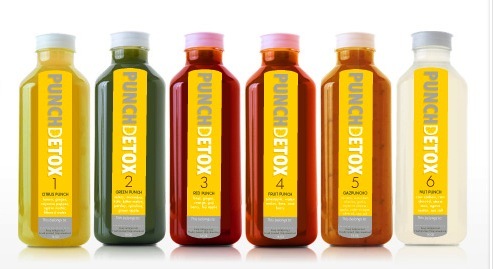 A few days before I’m due to start the cleanse an email pings into my Inbox – “Ready for the Punch Juice Cleanse? Be excited! Don’t be nervous! Remember – you LOVE juice. You will feel great. You will look great”. I hadn’t really thought too hard about the fact that I was giving up eating for three days until this point. I’m suddenly VERY nervous. The email goes on to set out a list of things that Punch recommends that you eliminate in the lead up to the cleanse, including caffeine, meat, fast food and alcohol. The promise that the cleanse will be much less painful the more strict I am with myself in the run up to it, helps me to spend the weekend eating cleanly and feeling very virtuous. 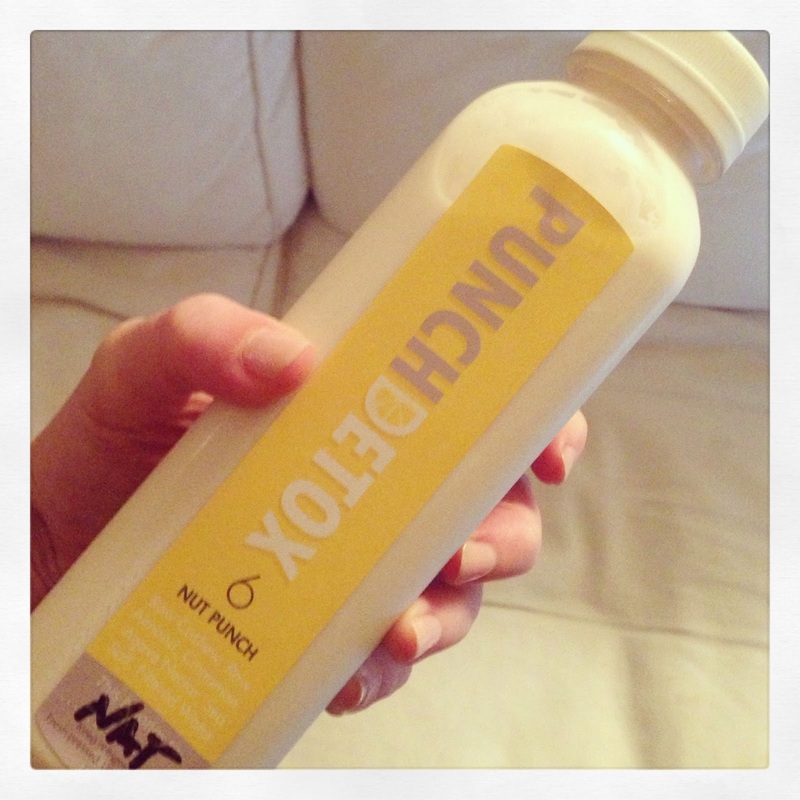 My nerves begin to fade and I do genuinely start to look forward to the challenge of the cleanse. At 5pm on Monday evening, at T-1 to juice kickoff, three grey and yellow cool bags arrive at my office. I sip the scarily healthy looking juice number two – the Green Punch – while I clear my inbox, follow that up with a couple of mugs of green tea and before I know it, it’s lunchtime. As my colleagues tuck into their sandwiches, I grab my juice fix – the Red Punch, a surprisingly delicious mix of beetroot, carrot, apple and ginger. So far this juicing lark is an absolute breeze… then 3:30pm strikes and midway through a meeting my stomach emits a highly embarrassing grumble… As soon as I’m back at my desk I grab juice four, the pineappley, watermelony Fruit Punch – not only is my sanity restored, but this is also out and out yum in a bottle! 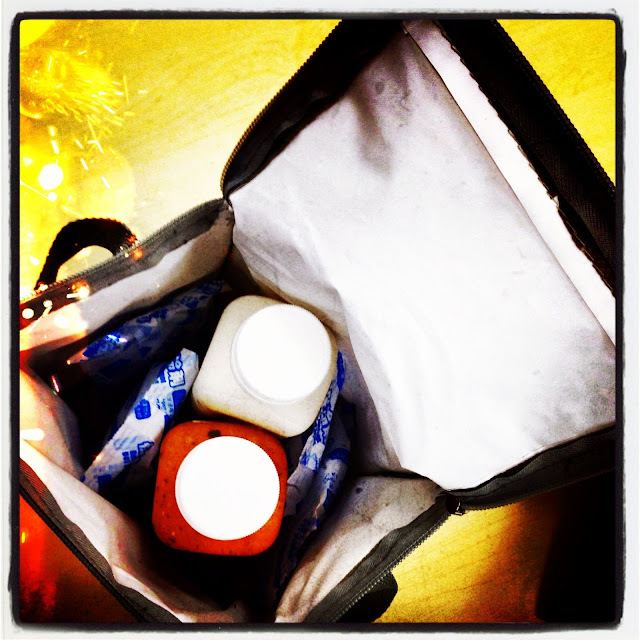 At hometime, I pack up my coolbag with my last couple of juices for the day and grab a cab back to my flat. My boyfriend’s under strict instructions not to eat in front of me, so he eats his dinner out on the terrace while I sit inside sipping my evening juice – the GazPUNCHo. 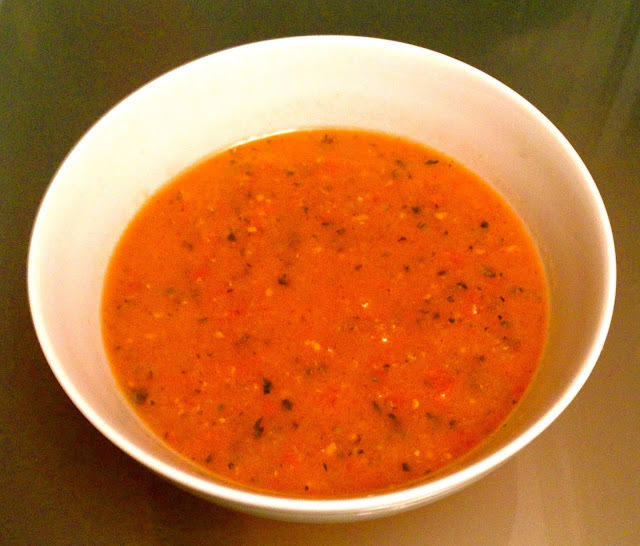 As the name suggests this dinner juice is modeled on the Spanish chilled soup. Much more chunky that the other juices, this bad boy is not only delicious but a real saving grace if you’re missing chewing. You can even convince yourself that you’re eating a proper meal by pouring it into a bowl and eating it with a spoon. After a relaxing evening and a hot, bubbly bath, I crack open my sixth and final juice of the day - the Nut Punch. This bedtime juice is a real treat – cashew milk, almonds and agave nectar – sweet, filling and very soothing. Last drop downed, I decide it’s time to call time on my first foodless day and settle into a deep, peaceful sleep. I wake up feeling energized and ready to go. I haven’t experienced any of the side-effects that Punch had warned about in their emails – no headaches, no cold and flu symptoms, not even any cravings or irritability. I’m feeling pretty smug. The rest of the day continues in a pretty easy cycle of juices, herbal teas and lots of water. I find that I’m much more conscious than usual of making sure that I’m keeping hydrated. I regularly go a whole day only drinking the odd coffee and a glass of water here and there, but I’m suddenly speeding through whole bottles of water without much thought. One downside I notice is that I’m constantly cold to the core. After a spot of Googling, I discover this is a usual side-effect and vow to remember to add a cosy cardigan to my bag the next day. I wake up with an uneasy feeling that I’m not going to like what I see when I look in the mirror… Whilst brushing my teeth I understand why. My chin’s proudly sporting the most impressive break-out I’ve seen since Michael Schofield escaped from Fox River… It’s a shame as the rest of my skin is glowy, clear and in much better nick than it usually is on a Thursday morning. 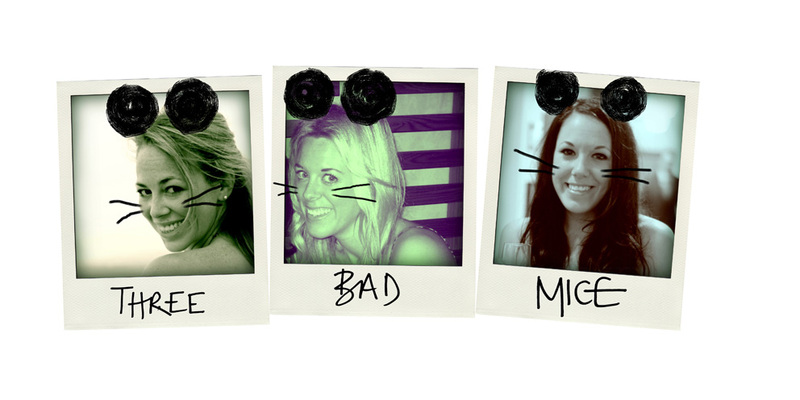 The Punch ladies have warned that this is a possible side effect and a good sign that the toxins are leaving my body. By now I’m used to the juices and into a pretty good routine when it comes to spacing each juice fix out across my day. I’m drinking so much fluid that I’m really not feeling hungry at all. I actually find that the worst thing about the cleanse is the boredom – I hadn’t really realized before how much food breaks up the day or the amount of time I devote to planning, preparing and enjoying my meals. As I finish my final Nut Punch I think that I could actually happily stick to the juice cleanse for a few more days. It’s all been much easier than I’d imagined and rather than feeling tired and lethargic, I’m actually feeling springy and energized. My stomach is also much flatter than usual and a quick pre-bedtime hop onto the scales reveals that I’m seven pounds lighter than usual. 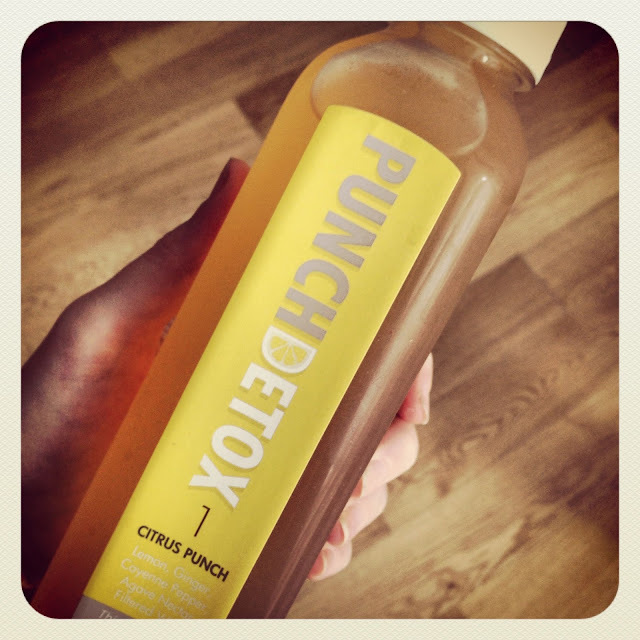 Punch advise that you break the cleanse even more slowly than you ease into it. While the urge may be to celebrate the end of your liquid diet with an enormous slab of cake washed down with a magnum of Champagne, the girls advocate sticking to small simple meals of salads, steamed vegetables and fruit for the first few days, gradually adding in other foods, leaving meat and dairy until the very end of the first week post-cleanse. Having imagined I’d be craving a huge breakfast, I actually opt for a fruit smoothie to start the day, have a small green salad for lunch and steamed fish and vegetables for dinner. Eating anything at all is pretty exciting and I’m much more conscious of what I’m putting into my body and the effect that it all has on me. My final verdict? Post-cleanse I’ve definitely got my bounce back. I’m feeling lighter and more focused. Break-out aside, my skin and eyes look clear and bright, and although I know the majority of my weight loss is water weight, I definitely feel like my clothes are looser and I look better, even a few weeks after the detox. It’s a not a miracle, cure-all and it’s probably not for everyone - you definitely need willpower and not too much other than yourself to focus on while you’re cleansing. But, for a short, sharp shock to help you to step away from the vodka jellies, and back towards a healthier, more conscious way of eating, this may just be the kickstart you need to get you back on track.